Actual Overtime Work custom field shows time worked by a resource beyond normal working hours to complete the task. For example, Nick is assigned to task "Write a report". 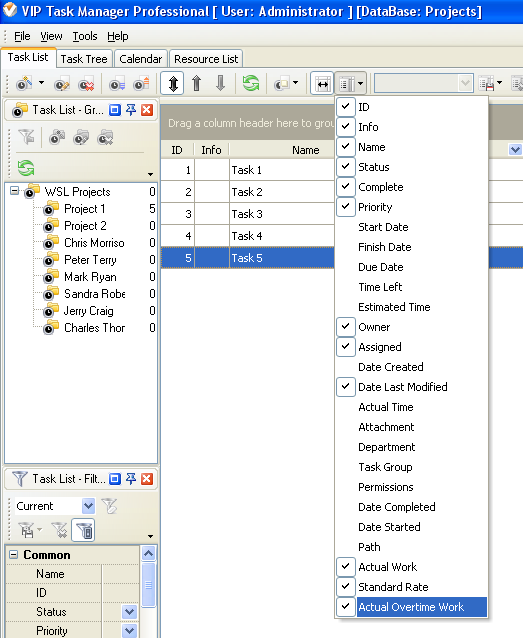 There are 7 hours of planned overtime work for this task, while the custom field Actual Overtime Work shows that the resource actually spent 4 hours of overtime work. in "Title" field enter "Actual Overtime Work"
in "Code" field enter "cf_actual_overtime_work"
to display custom field Actual Overtime Work on Task List or Task Tree please go to Task List or Task Tree, click Task List Columns or Task Tree Columns button and check the custom field "Actual Overtime Work"